A new restaurant is on its way to inner Sydney and has been uniquely designed with a distinct Sicilian vibe. 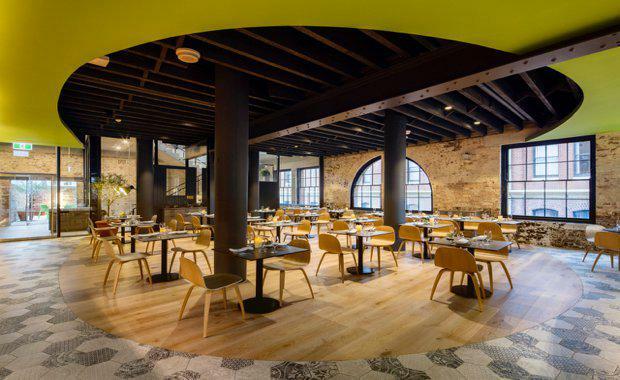 LAVA Director Chris Bosse said the ingredients that inspired the look of the restaurant, called Olio Kensington Street were luscious green olive oil and a leisurely stroll in the afternoon. “Sicilian-born award-winning chef Lino Sauro is bringing his cuisine, based on traditional recipes from his family, newly interpreted, to Sydney. He uses very few ingredients and wants each ingredient to be visible and detectable. Our architecture has the same goal," he said. 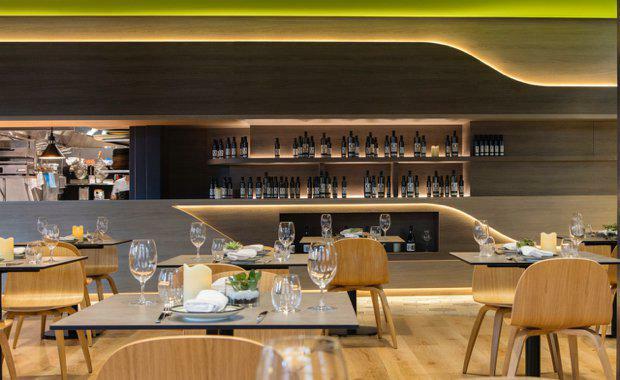 He said, Sicily’s passeggiata and extra virgin green olive oil are the two connecting elements that bring the space inside the 19th century Old Rum Store together. “We created a passeggiata using Sicilian tiles, that flows through the restaurant and connects the kitchen, bar, dining and rooftop areas. The interior features a natural colour palette - light oak timber and concrete tabletops - with hints of Mediterranean blue and olive green. Mr Bosse chose to incorporate the Gubi Chair, an original plywood chair which he believes is simple as it is elegant. “We overlaid these new elements onto the fantastic bones of the old rum store – exposed brick walls, timber rafters, steel structure, rustic timber doors, loft-style steel windows. The original elements were cleaned up and showcased as existing," Mr Bosse said. Diners can enjoy an aperitivo on the olive tree-lined rooftop terrace overlooking Chippendale. 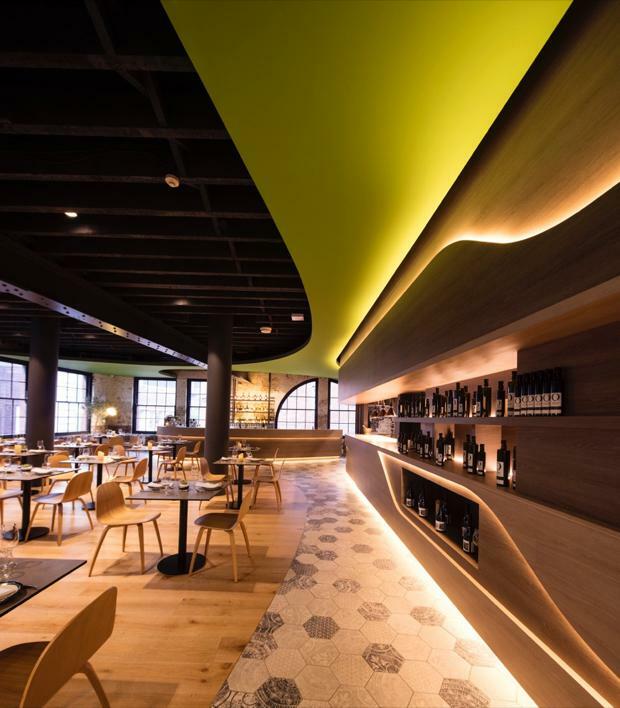 Lighting design by Light Practice includes bendable LED strips that line the joinery and ceiling, and dimmable spotlights that create atmospheric lighting above the tables. “We had a mix of tradition and innovation to work with – an old building and Sicilian tradition; with a new fit-out and Lino’s modern take on Sicilian dishes. Our design complements the quality produce and strong connection to Sicilian roots. Simple and legible," Mr Bosse said. Olio Kensington Street is LAVA’s second restaurant recent fit-out after 'KYO-TO', which opened in the same precinct in early 2016.